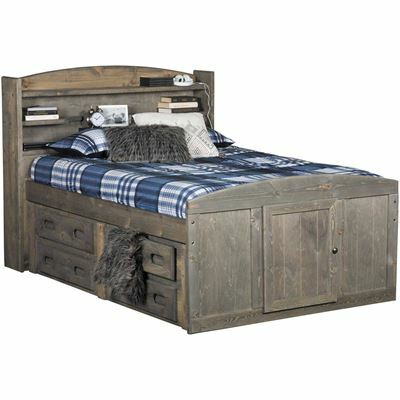 With its dreamy driftwood finish and ample amounts of storage, the Cheyenne Driftwood Captain's Bed Underbed Storage Unit by Trendwood is a stylish and practical addition to your bedroom. 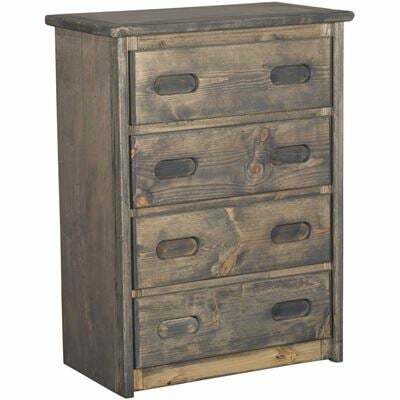 Four drawers fit under yout captain's bed to provide plenty of extra storage space while simple styling and a contemporary gray driftwood finish create a versatile look. 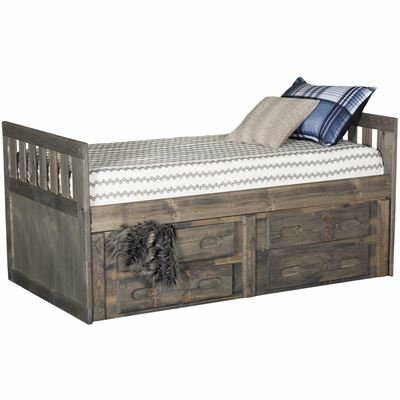 With its dreamy driftwood finish and ample amounts of storage, the Cheyenne Driftwood Captain's Bed Underbed Storage Unit by Trendwood is a stylish and practical addition to your bedroom. 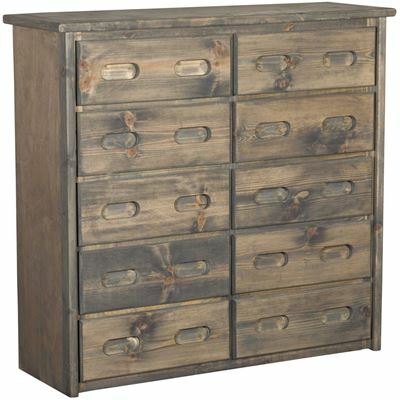 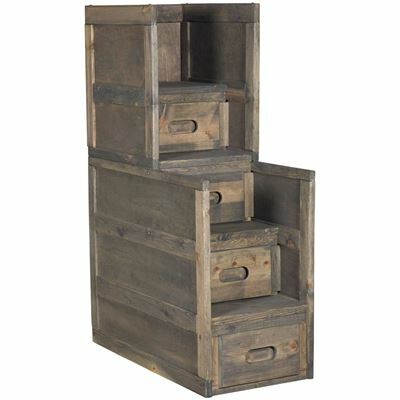 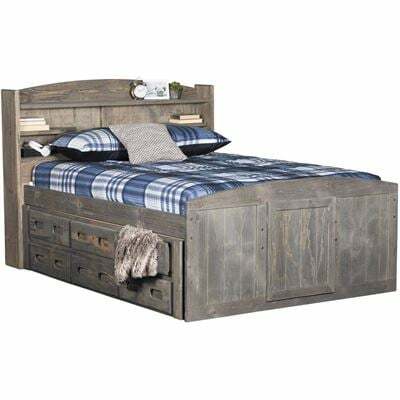 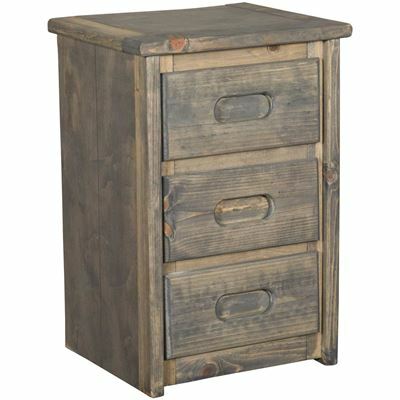 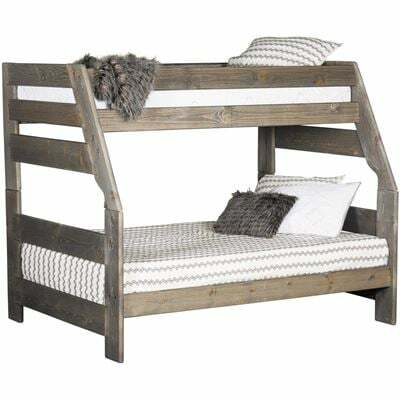 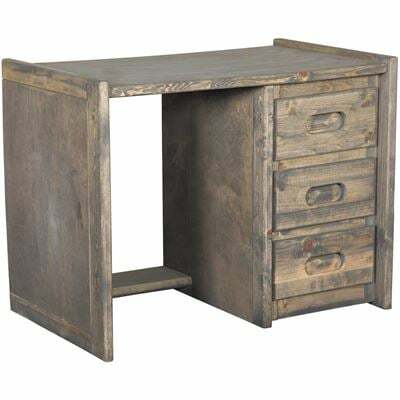 Cheyenne Driftwood Captain's Bed Underbed Storage by Trendwood Furniture. 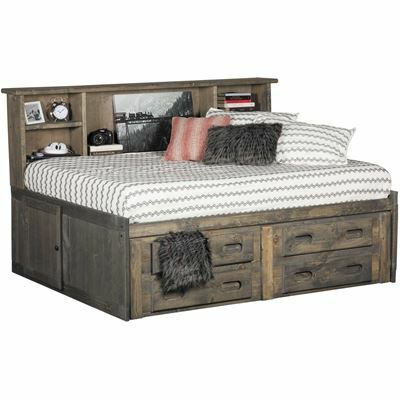 This 4 drawer underbed storage unit is sold with Trendwood's twin and full captain's beds. 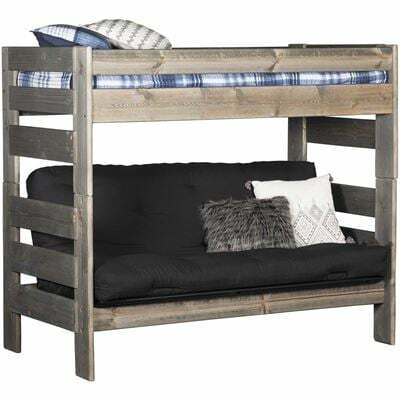 It can also be sold separately to offer additional storage to either unit. 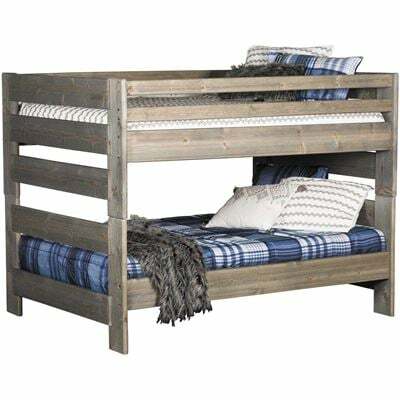 All products are made of ponderosa pine and Baltic birch. 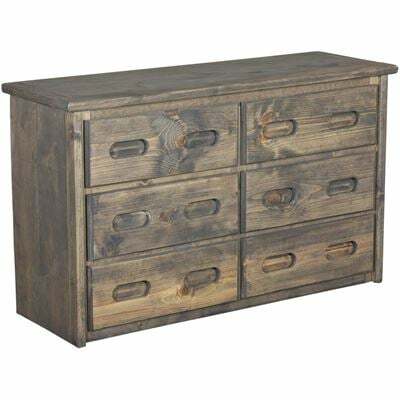 Stain can easily be touched up or refinished with Minwax Classic Gray #271 stain.